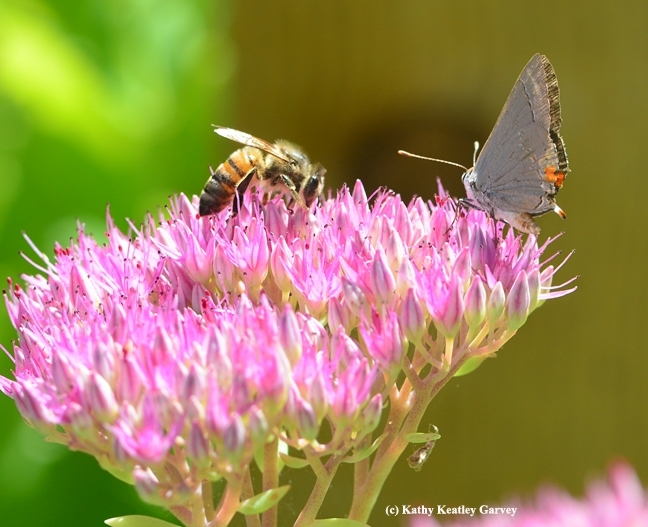 If you've ever watched a Gray Hairstreak butterfly (Strymon melinus) nectaring a sedum, and then watched a honey bee (Apis mellifera) land on the same flower, it's a study in sharing. 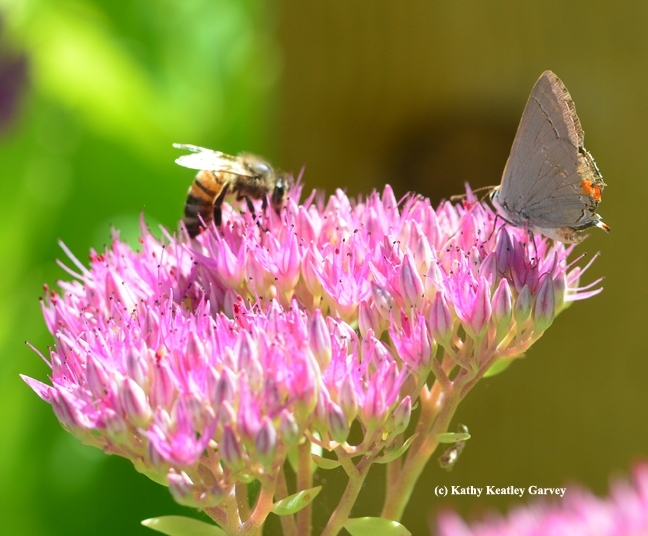 "I was here first," says the Gray Hairstreak, sipping nectar. "I was here second," says the honey bee. So they wind up sharing, the butterfly and the honey bee. It's autumn and there's not much nectar anywhere. "Stay back," says the butterfly. "No," says the honey bee. "My colony needs the nectar." So they crawl slowly on the blossom, meeting head to head, as if to prove that yes, "We can all get along." The Gray Hairstreak is not so sure. 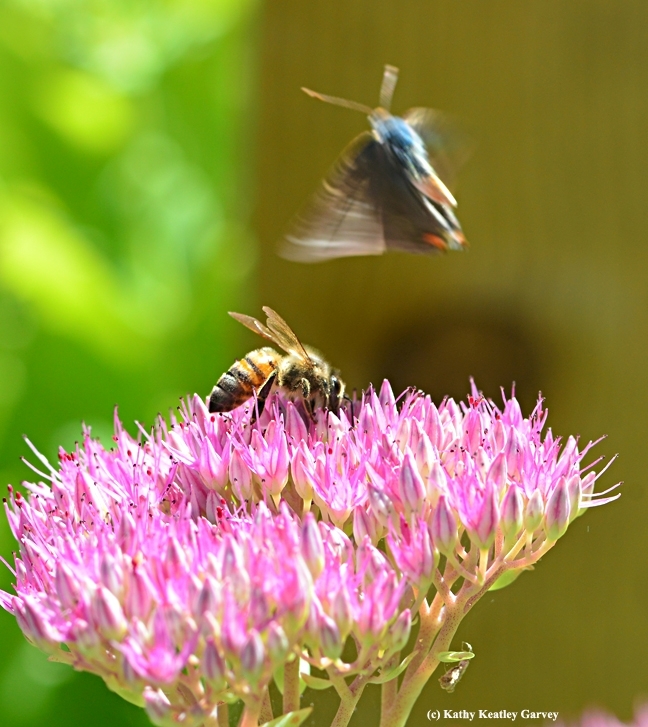 The honey bee abruptly moves closer, and the startled butterfly lifts off to find another blossom. The butterfly will be first again on a nearby sedum.